Intro to Flow: Starting with Body Position, (the attack & the neutral position) we’ll dial in our form as well as Bike/ Body Separation, before moving on to Direction Control. With some of the best flow trails available for practice, we’ll be applying these techniques to the flow trails. Our focus will be on pumping rollers and learning how to generate momentum through body movement as well as cornering on insloped (bermed) turns. We’ll then take the skills to other trails in the area. Additional topics and techniques covered include: Maneuvers – front and rear wheel lifts, intro to the j-hop and intro to the manual. 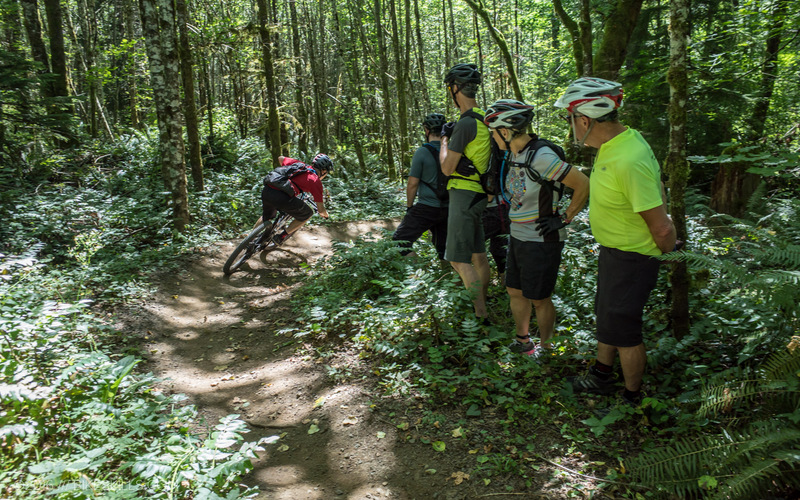 Session also includes demonstrations and discussion on bike set up, rider critiques and trail ride with numerous demonstrations. Riders must bring a helmet, water and a clean mountain bike in good working order. We recommend an adjustable height seat post for maximum fun. Clinic is limited to 8 riders with a minimum of 3. Energy food provided courtesy of our sponsor, Clif Bar. Note: we do have a medium Santa Cruz demo bike available for riders that reserve/request in advance. Email: Jason@bikeskills.com with any questions. Cancellations received at least 14 days prior to event will receive a full refund, less $20 admin fee. Cancellations received from 7-13 days prior to the event will receive a 50% refund. Cancellations within 0-6 days of the event or "no show" will not receive a refund. Clinics are held rain or shine. When in doubt, come prepared with rain gear!